​Kentucky becomes the 15th state on June 1, 1792. In 1796, Daniel Boone’s Wilderness Trail through the KY Cumberland Gap is now opened to wagons. No single trail was more significant in the westward spread of American colonization than the Wilderness Road of Virginia, Tennessee and Kentucky. It was the first route opened across the Appalachian barrier. From 1775 to 1800 it was the principal overland entry into the limitless reaches of the West. In 1775, Daniel Boone blazed a trail for the Transylvania Company from Fort Chiswell in Virginia through the Cumberland Gap into central Kentucky. It was later lengthened, following Native American trails, to reach the Falls of the Ohio. 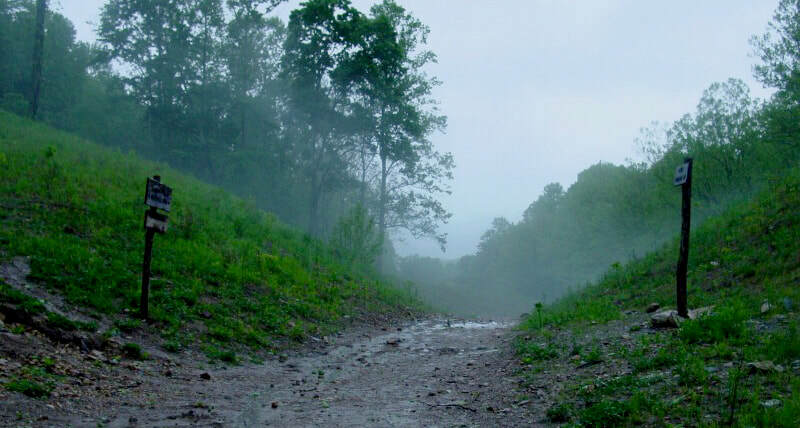 The Wilderness Road was steep, rough, narrow, and could only be traversed on foot or horseback. In 1796, an improved all-weather road was opened for wagon and carriage travel. Until now, salt had to be shipped into the Thirteen Colonies from the West Indies at great expense. It was the only meat preservative available and Kentucky had an extra lure with its large salt brine lakes near Fort Boonesborough. The many "salt licks" of Kentucky are today reflected in the many places named in the state that use the words "lick" or "licking". Defensive log blockhouses built alongside the road had portholes in the walls for firing at Indian attackers. They were often called "stations". The Shawnee attacked from the north, while the Chickamauaga came from the south, hundreds of pioneers were killed by relentless Indian attacks. Alexander Davidson moves to Kentucky in 1797. Alexander, now 52, leads his family through the Cumberland Gap into wilderness of Kentucky and settles just south of Glasgow and establishes the Mt Tabor Baptist Church. Glasgow, is the county seat, about one hundred miles from Frankfort. The town of Glasgow, , the seat of justice, is situated on the turnpike road leading from Louisville to Nashville. Barren County embraces almost every description of soil and surface. From Glasgow north and northeast for about ten miles, the land is level and the soil rich; beyond it is generally hilly and poor: the remainder of the county is mostly rolling, but with a productive soil. The sub-soil is of clay, founded on limestone. Fine springs abound; and being well timbered and watered with several large creeks, saw and grist mills have been erected in abundance. The staple products are tobacco, corn, wheat, rye and oats. Tobacco is the most important article of export from this county - about twenty-five hundred hogsheads being the average annual product. Horses, mules, and hogs, are also raised for export. There are three salt furnaces in operation in the county, making from thirty to forty bushels each per day. On 5 November 1798 he organized the Mt. Tabor Baptist Church of Glasgow, Barren County, Kentucky. It was the very first church in that region of south central Kentucky. MT. TABOR church was located on Beaver Creek, some two miles west of Glasgow in Barren county. It was gathered by Alexander Davidson, and was constituted of seven members, by the assistance of the famous old pioneer, William Hickman, and Carter Tarrant. 1798, Nov 5th, Alexander Davidson is chosen pastor, John Murphy was elected clerk, and John Baugh was appointed to hold meetings, in the absence of the pastor. Several churches formed in the Green River country, the first conference, look to the formation of an church association. Alexander Davidson’s settlement was called South Fork, it is located 2 miles southwest of Glasgow, KY., taking the name of the large creek, which ran through Alexander’s farm. The homestead would eventually grow to contained seven hundred acres.